Give your Parrot Bebop 2 Quadcopter Drone Quadcopter Drone a stylish look and protect it from nicks and scratches at the same time. MightySkins creates a whole new look that sets you apart from the crowd and makes it easy to identify your drone. 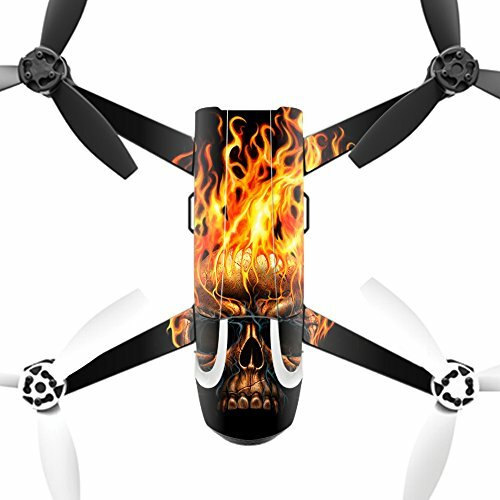 This Parrot Bebop 2 Quadcopter Drone Quadcopter Drone Skin features ultra-high resolution inks and then covered with a clear protective layer for ultimate durability. All MightySkins use a patented repositionable and removable adhesive for fast and easy installation and goo-free removal. Parrot Bebop 2 Quadcopter Drone Quadcopter Drone is not included.